According to the record, in the past 3 years, land market in Nhon Trach district, Dong Nai province showed signs of sharp price increases. By the end of 2016, the project land in Nhon Trach is just at VND 4-6 million / sqn. By mid-2017, the average land price in this area moved to VND 5-7.5 million /sqm. From the first quarter of 2018, real estate in the territory has reached the threshold of VND 12-15 million. 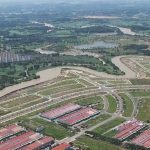 Real estate experts see the infrastructure solutions solve the problem linking Ho Chi Minh City – Nhon Trach is the driving force for real estate here flourishing. With advantages near the construction area of ​​Long Thanh airport, Nhon Trach continues to benefit from the national key projects. 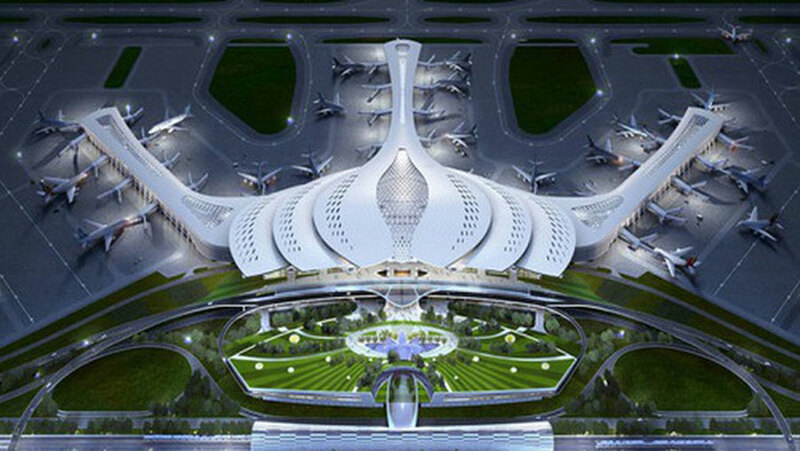 The airport will be built on an area of ​​5,000ha, with an expected capacity of 100 million passengers and 5 million tons of cargo a year. The project is divided into 3 phases, in which the first phase by the year 2025 must be completed and put into operation a runway, a passenger terminal and other auxiliary items with the capacity of 25 million and 1.2 million tons of cargo a year. Total investment for the whole project is VND 336,630 billion (equivalent to USD 16.03 billion in unit price in 2014). Besides reducing the load for Tan Son Nhat airport, the formation of Long Thanh airport will lead to the development of trade centers, logistics and residential areas. The main roads will connect directly from Ho Chi Minh City through Nhon Trach to Long Thanh, creating money to develop Nhon Trach area. 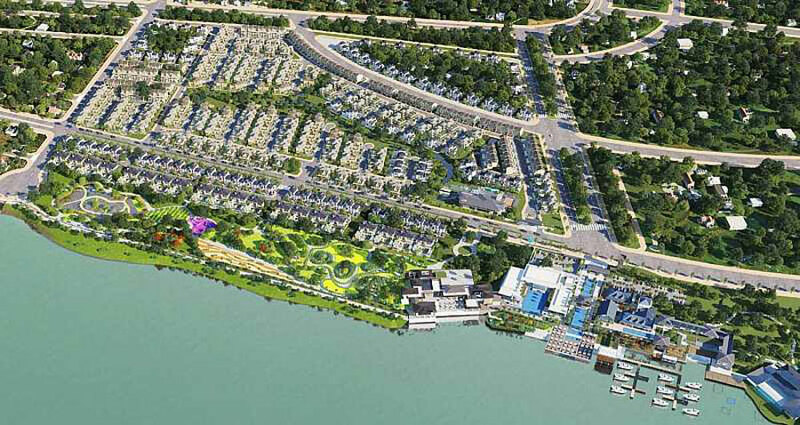 The project to build a bridge to replace Cat Lai ferry terminals linking District 2, HCM City and Nhon Trach District, Dong Nai Province has been approved in the city’s transport development plan until 2020. 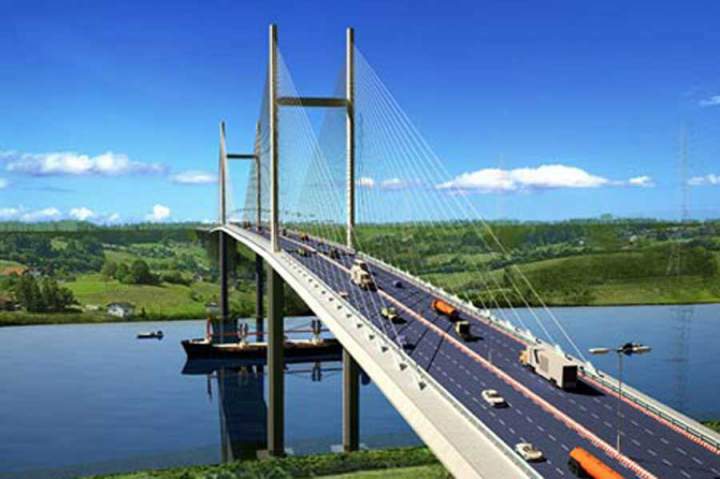 The bridge is expected to have a total length of 4 km, The design is 55m static cable, with 4 lanes. The project is connected with My Thot intersection (District 2, Ho Chi Minh City) and the end of the existing ferry about 1.2 km in Phu Huu commune, Nhon Trach urban area (Dong Nai province). The project has a total investment budget of more than VND 5,700 billion, of which the cost of compensation for ground clearance is about VND 1,225 billion. Real estate experts have identified Cat Lai as an important means of connecting the region between HCM City and Dong Nai, shortening the distance and traveling time between the two localities, thus facilitating the economic development towards Ba Ria – Vung Tau. In addition, the project also contributes to the expansion of population, instead of Ho Chi Minh City residents can go to Nhon Trach and work in HCMC. Phase one of the Nhon Trach 3 Ring Road – Ho Chi Minh City is expected to commence in June-July 2018 with a 17.8 km route from Nhon Trach (provincial road 25B) to Thu Duc intersection. The lane has four lanes, two lanes meet high speed standards with investment costs of nearly $ 430 million, equivalent to VND 9.827 billion. According to the approved master plan, Ring Road 3 of Ho Chi Minh City has a length of 89.3 km, total investment capital of about 55.805 billion. The first point of the route starts from Ben Luc – Long Thanh expressway, then passes Dong Nai (Nhon Trach district), Ho Chi Minh City (District 9, Cu Chi, Hoc Mon, Binh Chanh), Binh Duong An, Thuan An and Long An (Ben Luc district). 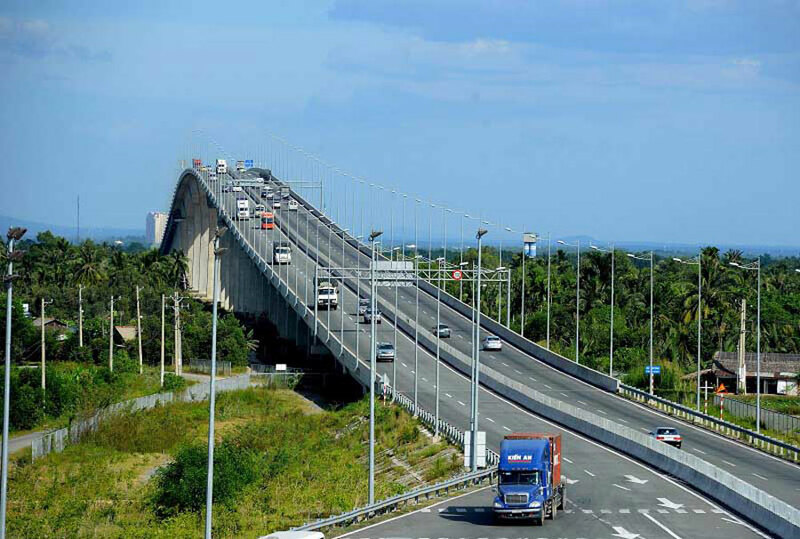 The ending point with Ho Chi Minh City – Trung Luong expressway and Ben Luc – Long Thanh expressway. Belonging to the closed circle model, Ring Road 3 is considered as an important transportation network to help Nhon Trach connect Ho Chi Minh City and the East and South West provinces, facilitating the development of inter-regional transport services. promote regional economic development. At the beginning of 2018, the provincial road 25B expanded (Ton Duc Thang road) will be opened, further creating Nhon Trach development. 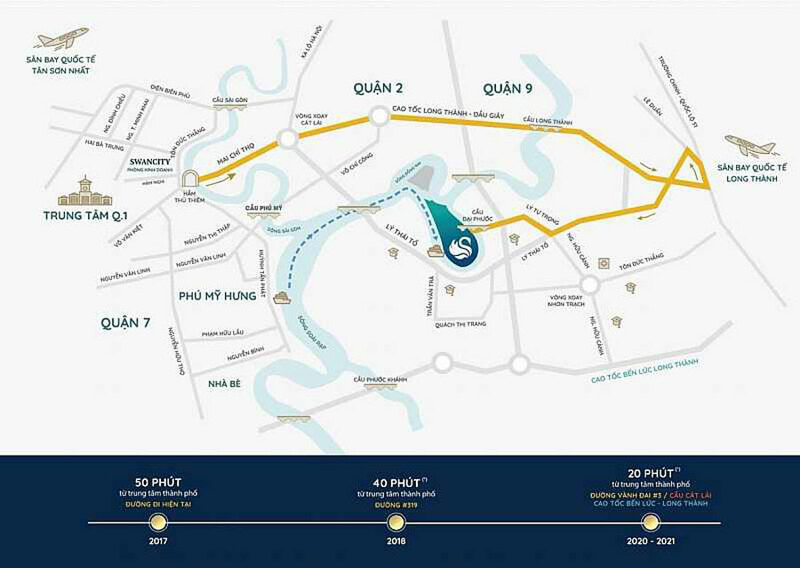 The route is 9.2 km long, the starting point of the project is connected with Highway 51 (Long Thanh district), the last point is the administrative center of Nhon Trach. This is the main route linking the highway into seven industrial parks of Nhon Trach district and the central district. Among real estate projects located in Nhon Trach, Swan Bay attracts many customers. The project is located on the island of Dai Phuoc in Nhon Rach district, Dong Nai province, is currently the market interest by potential growth and increase in the future. 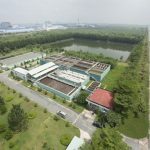 Project location is quite convenient, surrounded by Dong Nai River, opposite Cat Lat ferry, adjacent to District 2 and District 9 – area is in fever. 2018: Thu Thiem Cemetery / Phu My Bridge => Long Thanh Expressway – Cao Giay Expressway => Road 319 => Ton Duc Thang Road (25B) / DT 769 => Dai Phuoc Bridge. 2020-2021: Thu Thiem Cemetery / Phu My Bridge => Long Thanh Expressway – Giao Giay Belt => Ring Road 3 => District 9 Bridge => Dai Phuoc Bridge. Swan Bay has a size of 200ha, low construction density of only 21.05% and number of products only 396 units. Based on the price at the first stage, it can be seen that the Swan Bay townhouse subdivision has a selling price of VND2.4 – 4.3 billion and the semi-detached villa area is priced at VND4-6.6 billion. , the riverside villa area is priced from VND 7.6 to 8.3 billion and the highest is the riverside residential area, the price is about VND 13 – 14 billion. Most of the projects in Nhon Trach are land sales. Swan Bay is built as a true complex, with not only high-class houses and villas but also enjoying the living space, landscapes, services and facilities. Swan Bay consists of “land and houses,” in the case of freezing, can still be rented and land is not, this as an invisible element dragged residents to live, the more crowded the price. The real estate is growing long. The sooner the booking is made, the sooner will be given preference (details will be announced later). Each customer is allowed a maximum of 5 tickets. Investors will organize events to draw customers to select products. You are reading the article Four infrastructure projects promote the Nhon Trach real estate market in the Real Estate category at https://realestatevietnam.com.vn/. Any information sharing, feedback please contact through Hotline 0909890897 (24/7) or email to info@realestatevietnam.com.vn.